Ethical hacking is described as hacking performed by any individual or company. It is used to identify some threats on the network or computer. They are also known as white hat hackers. In professional terms, an ethical hacker is an IT security expert who tries to breach into a computer system or application or network with the consent of its owners. With due permission, they find security vulnerabilities a malicious hacker may potentially try to exploit. The main purpose of this hacking is only to evaluate the security and identify the vulnerability caused in the system or network. An ethical hacker has the skill and knowledge and tools to test and detour IT organization’s security. Without taking advantage of those vulnerabilities for personal gain, they document them and advise organizations on remedies. They suggest them how to strengthen the overall security of that company. Generally, ethical hackers find security acquaintances in unsecured system configuration. It can be known or unknown hardware or software acquaintances and operational weakness in the process or technical countermeasures. All companies that are network connected and work on the internet or provide online services should consider penetration testing that is conducted by these ethical hackers. Every organization struggles in keeping pace with the developing technological landscapes. New and emerging threats in the cyber world are heading each second. Cybercrime is becoming a major concern for all organizations. Thanks to all these reasons, ethical hacking has become extremely important. This means the job market for white hat hackers is exploding. The threat to any business means that an actual attack could have devastating consequences for them. Hackers are now smarter and making more aggressive and sophisticated system attack. Companies struggle to defend them effectively, and this is increasing day by day with the more digitized business environment. The threat is here to stay. There comes the need for an individual who is a specialist in hacking. Ethical hacking is a crucial role to defend the data infrastructure of the organization. Protecting the online information of an organization is broadly getting much attention. Every business needs assurance that their company’s commercial data is protected and defended from all. The main advantage of all malicious hackers is people do not know how they think or act. The technology or methodology they employ to target and exploit the system successfully is not well-known. To know how cybercriminal thinks and operates allow you to step into their mind. When you learn their methodology, and with practices, you become attune and helps to be alert. An ethical hacker course covers all the concept and theories about hacking as well as penetration testing. It offers a practical approach on how to act and think like a malicious hacker. This learning style ensures you with the necessary knowledge and critical skills required to become an ethical hacker. The Ethical hacking certification makes you professional IT security personnel to have visibility and full control over the system of organization. It helps to protect and safeguard effectively against any impending data breaches. Personal data is readily available online to any cybercriminal to exploit easily. If you become a certified hacker, you get the necessary skill and knowledge to find out the actual vulnerabilities happening within the organization network and strengthen your security perimeter. Once you know everything about hacking, you cannot leave the security of the organization to chance. This data breach has got a double-pronged effect because it not only loses your critical data. It can rather bring major damage to the reputation of your company. This training offers you maximum experience in various labs by working in some real-life situations like actual cyber-attack or access also access to more than 2200 commonly used tools for hacking. It increases your confidence level to apply those skills when you are back at your organization. The most advanced course of hacking is there; it is a recognized credential global. Ethical hacking is a sought out field of IT security. This showcases your best level of skill and capability as a penetration tester or ethical hacker. Typically, experience with certification is enough to take you to some level of requirement. You cannot enter into any ethical hacker position without adequate IT security experience. Same as any other IT jobs, a degree with certification is needed, but related experience can make you a king. If you are not an IT professional, you must first learn the basics of computer. Then learn about programming languages like Java, C++, or Linux. Hackers are usually a problem solver as well as a tool builder. So by learning how to program can help you to implement solutions for each problem easily. If you can write the program, then a hacker can help you in automating multiple tasks. It usually takes lots of time for completing. Writing programs also help you to identify and exploit any programming error found in applications. You know that networks are what run the internet. It is what connects the office or your home computers. So it is very important you should know everything about how this network operates along with OSI, IP address, router, port, protocol, and subnet mask. A certification establishes and governs your minimum standard for credentialing information security specialist professional in ethical hacking procedures. An accredited ethical hacking course provides you with the advanced tools and techniques that are used by hackers and professional of information security to break into any organization. This course gives you a complete hacker mindset that helps you in defending the future attacks. This security mindset for any organization not to be limited to, any vendor, technology or equipment silos. The ethical hacking course keeps you in the driver seat of an environment with a systematic process. There you get exposed to a completely different way to achieve optimal information security position of their organization when you hack it. You do scanning, testing, hacking and secure the system. 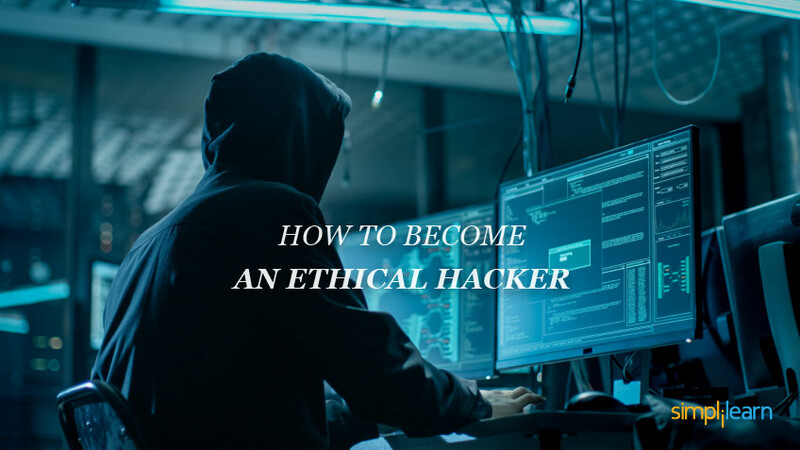 You learn five various phases of this ethical hacking and how to approach your target as well as succeed in breaking it every time. In this five phases there are Reconnaissance, Enumeration, Maintaining Access, Gaining Access, and covers the tracks. Do some experiments of your own and know how things happen in such a situation. You can start experimenting with hardware and software. Learn how you can control the situation and prevent your computer from not getting hacked. Read people’s experiences and know the areas you have to improve and where you have to refine your focus. As technology is changing rapidly, a good hacker should always be willing and eager in keeping up with the latest technology developments. Try to be connected with the hacker community to share technical ideas and information. In the past few decades, ethical hackers are high in demand. There is a sequence of some successful hacking attempts on retail websites and banking. Therefore, ethical hacking has now emerged to be the critical role in protecting the information of a company. As hackers are becoming more aggressive and smarter, they are required in every industry. In government agencies, they are the often seen employees. They prevent unauthorized access to all sensitive information. But now, whether it is online commerce or retailers, logistics and transport, real estate or healthcare or hospitality, employs variant ethical hackers to keep information secured means confidential.